Win More Colts Matches, and prepare better too shows you how to acheive greater on-field success for junior cricket teams; in the short and longer term. It is ideal for club manager and coaches who are looking to improve their on-field performances. 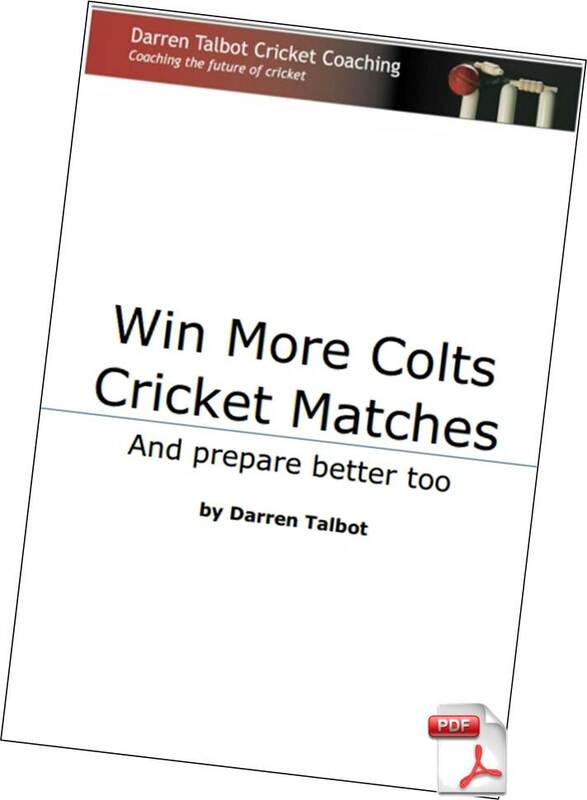 Written by Darren Talbot - owner of Darren Talbot Cricket Coaching and co-author of Wisden’s Twenty20 Cricket; How to Play, Coach & Win - Darren delves into the behind the scenes challenges faced by many clubs. As well as running his own UK wide coaching company, Darren carries out coach mentoring for Surrey County Cricket Board and works with and advises many cricket clubs in the south east of England. He is also on the Surrey Cricket Board Schools Working Group committee. How to get the best out of it and replacing net coaching with indoor cricket based training for greater player development off-season. Ensuring each group has a qualified coach and organising training sessions to be more constructive and successful. Persuading the senior section not to pay players and re-invest colts income back into the junior section instead for the long term good of the club. Most often the difference between winning and losing matches at junior level, Darren looks at how to work on this with your team to reduce the number of extras conceded. Way too many colts innings get bogged down by too many dot balls particularly in the middle overs, Darren shows you ways to work on this and increase run rate. Some junior teams find it really difficult to hit the ball off the square. You will discover some techniques to reduce this problem. A lot of juniors struggle to get used to catching a hard ball. Darren has some ways to work with your colts to give them more confidence when catching hard balls. By the time you have worked through all of these areas your club junior teams will be better prepared for matches and see even greater on-field success against even the strongest of teams. Perfect to read during a rain break! To access the eBook instantly, click the green buy button. Download and print the eBook.